Now, it is apparent that the on going tussle between the Customs Officers and the motor vehicle import trade had taken a different turn. 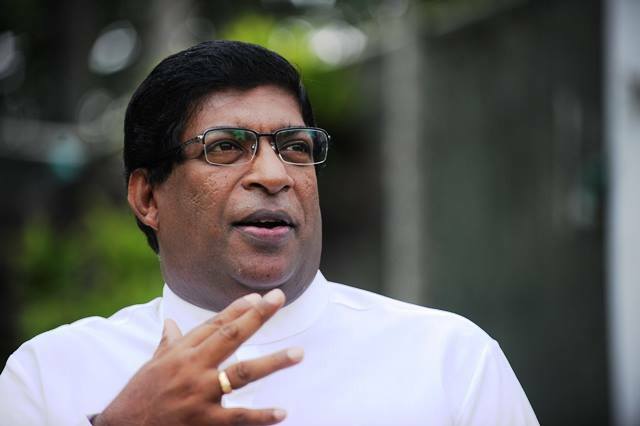 And evidently due to tremendous pressure exerted by the Customs Trade Unions, the Finance Minister, Ravi Karunanayake, has withdrawn the Gazette Notification No 1933/16 issued by him on 22nd Sep 2015 to rectify the serious anomaly created by the earlier Gazette notification (No 1901/3 dated 10th Feb 2015) content of which was in clear contrast with the law relating to the determination of minimum value for motor vehicles for Customs purposes. Earlier, the JVP Leader, Anura Kumara Dissanayake, persuaded by the Customs Trade Unions made a very serious allegation against the Yahapalana Administration for causing a colossal revenue loss of over 4.7 billion rupees, by withdrawing the Gazette Notification (No 1901/3 of 10th Feb 2015). He claimed that the ‘short sighted action taken by the Finance Minister’ denied the Customs Officers power to combat revenue frauds, concerning motor vehicle imports. It is important to understand the significance of these two Gazettes and the law under which they had been issued. Sri Lanka is a signatory to the General Agreement on Trade and Tarrifs (GATT) and in 2003 the Law Relating to Valuation of Commodities was incorporated to the Customs Ordinance. This is popularly known as the GATT Valuation Agreement (Article vii). This important change (Section 51) requires Customs to charge levies on all commodities on the ‘transaction value’, as a primary source of valuation of goods for Customs purposes. At the same time the Customs Law also provides stringent penal sanctions for ‘deliberate understatement of value for customs purposes’, which includes forfeiture of goods (Section 52) and provision for further forfeiture of treble the value of the goods (Section 129). However, the new process of valuation of commodities for Customs purposes was introduced without a proper regulatory mechanism in place to check deliberate under invoicing. The motor vehicles imports too come under the new valuation regime. It is the highest revenue contributor to the government. Therefore, a proper regulatory mechanism becomes utmost necessary to determine the valuation of motor vehicles for Customs purposes, as failure to do so would obviously cause tremendous loss of government revenue. What went wrong with Customs and reasons to continue with lawlessness? In the absence of a proper regulatory mechanism to determine the valuation of commodities, the purpose of introducing the GATT Valuation regime for collection of revenue was completely lost. The officers began determining the values of commodities for customs purpose as they pleased; whist the successive heads of customs administration turned a blind eye to these serious lapses. At the same time instances of challenging the obviously flawed decisions of the Customs Officers became extremely rare, since the trading community too had began under-cutting each other due to the fierce competition. One such rare case of challenging arbitrary value determination by the Customs Officers came before the Court of Appeal (CA/Writ/392/2012), demonstrating the magnitude of the lawlessness in the Customs Administration in relation to valuation of commodities for Customs purposes. The invoice reproduced here shows the arbitrary value upliftment adopted by the respective Customs Appraiser from 5% to 50% with no legal basis whatsoever, the normal yardstick these officers apply to revenue cheats as well as other handful of honest importers. These arbitrary value upliftments are ‘generally negotiable subject to terms favourable to both the importer and the Customs officer’. The fact is that this lawless situation is being continued to date in the Customs, causing a tremendous loss of revenue, perhaps over 50% of what Customs collects today. The reasons for these losses are multifaceted and not just limited to understatement of value. Goods undeclared and classified under wrong HS Codes with lower tax rates too contributed to the colossal loss of revenue, whilst successive government had conveniently turned a blind eye to this lawless state of affairs in the Customs. These are the most important issues that people want government to address forthwith, if it genuinely concerns with improving the quality of life of the citizens, without burdening them with ad-hoc measures taken to increase base rates of taxes charged under various names. Considering the magnitude of the revenue losses suffered by the government on motor vehicles due to deliberate undervaluation, the previous MR regime withdrew the Motor vehicles from the application of GATT Valuation system. Accordingly, the acceptance of transaction value of motor vehicles for Customs purposes was discontinued. Instead ‘in the National Interest’ the government adopted the special provision provided in law (Article 10 of Schedule E of the Customs Ordinance) to introduce a ‘minimum value base’ for the commodity, the motor vehicles. This process however, was a clear violation of the GATT Valuation Agreement Article vii, which prohibits any member nation from determining value of any commodity contrary to the process as set out in GATT Valuation Agreement (Article 7 of the Schedule E of the Customs Ordinance). Nevertheless the desired objective of the new valuation regime was to set up a dependable and trustworthy value base for all kinds of motor vehicles, with true values obtained from the manufacturers direct. The task of formulating a valuation base for all types of motor vehicles was assigned to a Special Valuation Committee created for the purpose. Sadly, this Special Committee consisted of three Directors of Custom let down the government and fatally failed in their assignment, as the schedule of values for motor vehicles determined by them too was absolutely flawed. Unfortunately nothing was initiated to invoke punitive action as provided by the Customs Ordinance against the those served in the Customs Special Valuation Committee and issued a schedule of values which were false. This in turn gave an undue advantage to the vehicle importers to pay levies at a lower value than the actual taxable value, causing a colossal loss of revenue to the government in billions. It is common knowledge that people do not voluntarily pay taxes and always pay less when loopholes exist. The importers took the maximum advantage of the false minimum value regime created by the Customs Special Committee for Valuation and those who had abused the system could not be dealt with as the law required Customs to recover levies on the ‘base value as determined by the Customs’ and not on the transaction value declared by vehicle importers. The Chairman of the Customs Valuation Committee has himself made clear the application of law as follows on 20th Oct 2015. In this situation revenue fraud prevention officers seized a large number of vehicles arrived at the port of Hambantota. They alleged that ‘there was a violation of law relating to valuation of the vehicles for Customs purposes and therefore the vehicles were liable to be forfeited under the Customs Ordinance’ (Section 52). Obviously their objective was to recover penalties from the vehicle importers, enabling them to claim 1/3 of such recoveries as cash rewards. However, it appears that the officers responsible for the seizure of these vehicles were totally ignorant of the law applicable to charging of levies on motor vehicles under the minimum value regime, as determined by Customs in terms of Article 10 of the Schedule E of the Customs Ordinance. Once any commodity is withdrawn from the application of the GATT valuation agreement Article vii, the Customs automatically forfeit the power to enforce the punitive sanctions provided by law to ensure due compliance with the GATT valuation system as the law in unambiguous terms provides (Article 10 of the Schedule E of the Customs Ordinance) that once on any commodity is taken out of the application of GATT Valuation System, ‘the levies on such commodity shall be charged on the basis of such minimum value’ and not on the transaction value. The first Gazette on the matter issued by the present regime on 10th Feb 2015 (under Article 10 of the Schedule E of the Customs) permitted consideration of either ‘transaction value’ or ‘minimum value as determined by the Customs’ for Customs purposes. Therefore, the issuance of this gazette was absolutely flawed and void in law as the authority vested in the Minister under Article 10 is for determination of the minimum value for Customs purposes, which shall be the basis for recovery of levies. The law however, does not permit application of ‘an alternate value’ as specified by the said Gazette Notification, which has effectively supersedes the law itself (Article 10 of the Schedule E of the Customs Ordinance) under which it had been issued and therefore it was ab initio void. Therefore, considering the illegality of the said Gazette Notification (No 1901/3) the error was rectified later with the issuance of another Gazette (No 1933/16 of 22nd Sep 2015). Thereupon, the Customs Valuation Committee was expected to collect information on actual values from the vehicle manufacturers of different types of motor vehicles and to collect levies on such values, leaving no room for evasion of levies. This however did provide no room for Customs officers any opportunity to invoke penal sanctions against importers of motor vehicles, as all vehicles seized by the officers were required to be released on recovery of levies on the minimum value as determined by the Customs sans penalties imposed on the importers. This action taken by the DGC was perfectly within the law in spite of objections raised by officers who go after cash rewards. The officers disturbed by the DGC’s initiative, made serious allegations against the withdrawal of the Gazette Notification No 1901/3 of 10th Feb 2015. 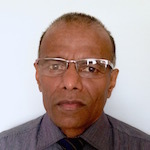 Then, the JVP leader, who was absolutely misled by the officers made vulgar allegations against the DGC and the Minister of Finance in the Parliament, that the withdrawal of the said Gazette was a ‘fraudulent act’ causing a colossal loss of revenue of over 4.5 billion rupees, which was a diabolical lie and unfounded statement. The real motive behind this move initiated by the officers was to have the Gazette No 1901/3 of 10th Feb 2015 reinstated, enabling them to impose penalties on motor car importers, regardless of the levies they pay on the minimum value as determined by the Customs with an ulterior objective of claiming cash rewards, as of a right afforded to them under Section 153 of the Customs Ordinance. Finally, totally hoodwinked by the false accusations of the Customs Officers with ulterior motives, the Yahapalana Administration has now issued another Gazette Notice 1956/17 of 01st March 2016 reinstating the Gazette No 1901/3 of 10th Feb 2015, which however has been done not at all in the best interest of the government revenue. The worst part of it is that until the said gazette was issued, the Customs officers did not allow the vehicle importers to process import declarations for the vehicles piled up in the port for several months, causing the trade tremendous hardships that include huge demurrages, penalty for exceeding free time (72 hours) allowed for taking delivery of the vehicles from the port premises. « Peace: Missing Out On Justice?